Social media definitely pays off, but you’ve got to focus on the approach not the tools. Social Media has hit the mainstream these days but the big concern on every product marketer’s mind has been how to justify the ROI? Never is that more true than at budget time. The purse string holders might harbor unspoken thoughts like: “We spend big bucks on those developers, customer support and sales engineering people. Why are you wasting the company’s money by giving them geek toys when they should be doing real work for us? If you’re concerned about social media cost justification, you’re not along. A recent Chief Marketing Officer (CMO) survey found that only 20% of CMO’s felt social media produced measurable ROI and 62% hoped it may someday. 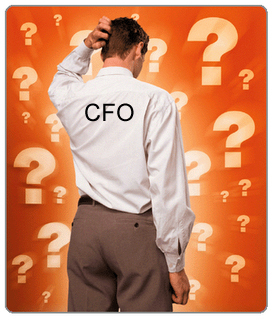 If the CMO’s lacked ROI confidence, then just imagine what a CFO or CEO survey might have told us! Social media definitely pays off, but you’ve got to focus on the approach not the tools. The classic product marketing approach to social media is treating it like just another broadcast media channel by posting press releases, sharing events, posting videos and expecting to see instant results like you get with other online media like banners, text links and search. All of that is a good start, but the results you need to justify your efforts will come by taking a holistic company approach. Here are some real-life examples and I am sure you can find others when you start thinking this way. Social customer support can reduce customer churn and increase retention rates faster than any other program I have ever seen. Listening for and spotting a customer issue, responding to them and solving their problem in minutes using social media provides an “exceptional customer experience” which also unlocks the beauty of social media and the web in sharing stories of great customer service travel far and wide. I don’t care whether you own a community or your rent one from a provider like LinkedIn Groups – but a community is a great place to create a social experience with your customer. B2B marketers often host bi-annual advisory boards or annual user group meetings and these are just screaming for a way to keep them connected via a tool like on online community. When you do that the results reported in a recent Jive report of over 2000 customers are outstanding. Lower costs, more revenue – a perfect combination! When you give great customer support or have a great product – why not activate the social channels to accelerate their word of mouth. See below for what happens when you do. You may be wondering with all this great social media conversations going on – is there anyway to mine social media to market smarter? The answer is yes there are tons of ways to mine the data to improve your content creation, SEO and SEM keyword selection, media planning (from online to tv media) and for lead generation. By now, you should be getting the idea of ways to expand your thinking on justifying social media. When you find others, let me know! Here is one thing I am already observing when helping businesses with their social media marketing. In the 80’s and 90’s we business owners have all been conditioned to think that business success almost solely hangs on branding and image. Of course you will always benefit from having a professional logo, website, or staff uniforms. However it is rather unfortunate that so many business owners get stuck at design stage. Often they spend enormous amounts of money and valuable marketing time just fiddling around with how perfect and cleverly designed their page has to look. Sounds familiar?